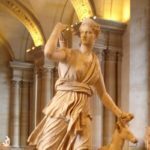 This website is an easy-to-follow overview of the many Greek gods and goddesses of Greek mythology. 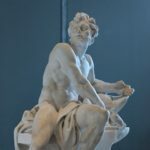 From the Olympian gods and goddesses right down to the many minor gods and goddesses found in Greek literature, you'll find quick and fun information on many gods and goddesses. 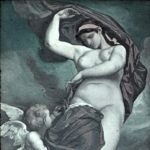 From Aphrodite to Zeus, if you need concise facts on a Greek god or goddess for a school project or if you're just interested in learning something new about the gods and goddesses in general, you've come to the right place. 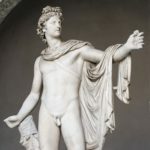 Apollo was the son of Leto and Zeus. He was born on the island of Delos. He and his twin sister Artemis, also an Olympian, shared an aptitude for archery.The nine Muses were companions of his; they were goddesses known for inspiring art and music. 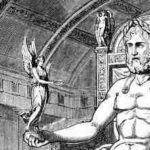 He was the son of Zeus and Hera, both of whom hated him (according to Homer). 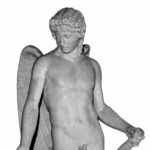 Eros (more commonly known as Cupid) was the child of Ares and Aphrodite.Ares was most notably referred to as the God of War; he represented the unpleasant aspects of battle. 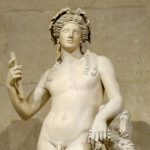 Dionysus was primarily known as the God of the Vine. Upon reaching adulthood, Dionysus wandered the Earth, teaching men the culture of the vine.Dionysus was the last god to enter Olympus. He was also called the God of Wealth or “the rich one” because he possessed the precious metals of the earth. 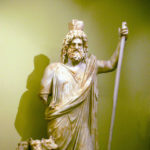 Hades had a cap or helmet that made its wearer invisible.His wife was Persephone, Demeter’s only daughter, whom he kidnapped and made his queen. Hephaestus was the only ugly god among perfectly beautiful immortals. 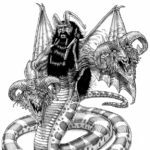 He was the workman of the immortals: he made their dwellings, furnishings, and weapons.Hephaestus was known as the God of Fire. 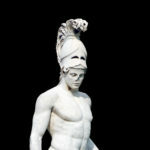 Hermes was considered a “trickster” due to his cunning and clever personality. 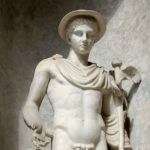 He primarily served as the herald or messenger of the gods.Hermes was born in a cave on a mountain in Arcadia; he was conceived and born within the course of one day. Poseidon was allotted his dominion after the fall of the Titans. 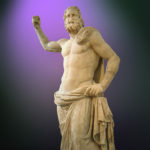 He wielded the trident or three-pronged spear, and this image of him is reflected in art.Poseidon was most notably the God of the sea and the protector of all waters. 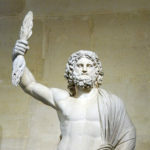 Zeus was the father of the famous Greek hero Hercules.The name Zeus means "bright" or "sky. "His weapon of choice was the thunderbolt, made for him by the Cyclops. 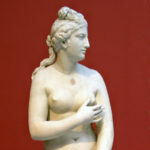 Aphrodite was the goddess of fertility, love, and beauty. During the Trojan War, Aphrodite fought on the side of Paris.Aphrodite and her son Eros (Cupid) teamed up to cause Zeus to fall in love with a human named Europa. Artemis was daughter of Zeus and Leto and twin sister of Apollo. 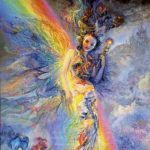 She was primarily a virgin huntress, goddess of wildlife and patroness of hunters.She was an important goddess in the lives of women, especially when it came to marriage and young creatures. 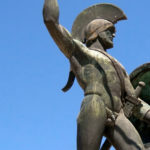 Athena was the Goddess of War, the female counterpart of Ares. 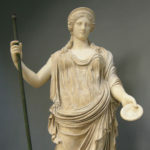 She is one of three virgin goddesses; the other two were Hestia and Artemis.Athena served as a guardian of Athens, where the Parthenon served as her temple. 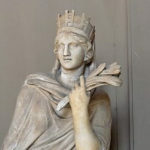 Demeter was the daughter of Cronos and Rhea. She was the goddess of harvest and fertility.Only women attended the Thesmophoria, a fertility festival held in honor of Demeter. 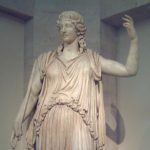 Hera was Queen of the Olympian gods. 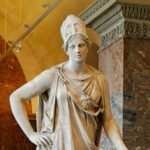 In the story of the Quest of the Golden Fleece, Hera was a gracious protector of the heroes.Hera had few, if any, redeeming qualities. She never forgot an injury. Although Hestia appeared in a few stories, she was not overly significant in Greek mythology. 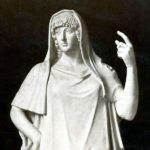 She was a sibling to Demeter, Hades, Poseidon, Hera, and Zeus.Hestia is completely omitted from the works of Homer, author of the Iliad and the Odyssey.